Peter is plotting his retaliation against the latest bombing. Neverland needs an army, and Peter Pan is certain children will join him once they know what is at stake. The lost boys and girls are planning an invasion in suburbia to recruit, but in order to deliver their message, they will need the help of an old and dangerous associate--the infamous Pied Piper. 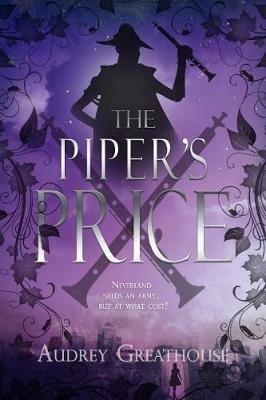 Hunting him down will require a spy in the real world, and Gwen soon finds herself in charge of locating the Piper and cutting an uncertain deal with him. She isn't sure if Peter trusts her that much, or if he's just trying to keep her away from him in Neverland. Are they friends, or just allies? But Peter might not even matter now that she's nearly home and meeting with Jay again. The Piper isn't the only one hiding from the adults' war on magic though, and when Gwen goes back to reality, she'll have to confront one of Peter's oldest friends... and one of his earliest enemies.